The grass isn’t very green on either side of the fence when it comes to promoting cannabis businesses. Neither Health Canada nor two of the largest advertising spaces in Canada, Instagram and Facebook, seem interested in giving room for anyone close to the industry. The argument is a familiar one, similar — yet more stringent — to the justification of regulations around tobacco advertising: public health and safety. Keeping images that advertise, market or otherwise promote the use of cannabis on billboards, internet landing pages, and almost any public space, is all being done in the name of keeping cannabis out of the hands of young Canadians. The solution to this problem is being tackled in different ways across the industry, but it’s not always a level playing field. “Creativity is key,” said Darren Bondar, CEO of cannabis retailer Spiritleaf, during a phone interview with Grow. The fund is being sponsored by Spiritleaf’s parent company, Inner Spirit Holdings. In December of last year, Inner Spirit Holdings entered into an investment agreement with Tilray and its subsidiary High Park, for an investment of $2.25 million in Inner Spirit and the two companies exchanged common shares valued at an additional $2.25 million. Inner Spirit Holdings also entered a collaboration agreement with High Park, which saw High Park donate $250,000 over five years in support. Currently, the fund has committed to make contributions to the Gord Downie & Chanie Wenjack Fund — a group set up to aid First Nation Peoples — for an undisclosed amount. Similarly, National Access Cannabis has been navigating the Cannabis Act and Health Canada’s regulations with its retail brand Meta Cannabis. Just how to do that though, isn’t always clear. While regulatory grey areas are abundant in the Cannabis Act, there are areas that it was very clear, specifically when it came to colours, logos, and certain aspects of branding. Even something as simple as naming the store required extensive consideration and planning. “Our initial approach is that we needed to work within guidelines that were, let’s say, not 100% clear,” said Ryan. “We’re not allowed to use animals, we’re not allowed to use real or fictional characters. This narrative of partial understanding is playing out online as well, but in a way much more impactful on small businesses, in and out of cannabis. Most modern small businesses in other industries have learned to use the power of newer and more affordable ad options, specifically Facebook and its subsidiary Instagram. This is not the case when it comes to cannabis. Both social media platforms adhere to the same advertising policy (Facebook, after all, owns Instagram), and even share an online portal to manage and pay for ads. And therein lies the rub. 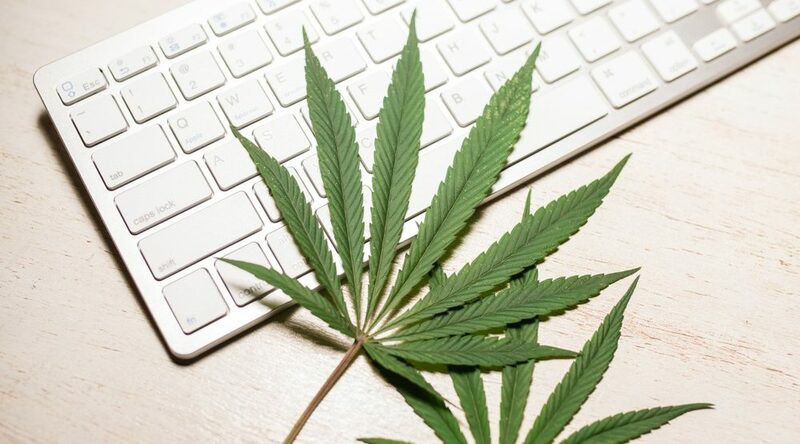 Cannabis is not expressly forbidden, but anything that the site’s almost unreachable moderators deem as unsuitable or promoting drug use is quickly flagged and barred. Businesses of all sizes working in pot have bristled against the difficulties of advertising on social media but the larger companies have the resources to pursue other avenues of getting their brand story out to the public. While traditional advertising isn’t allowed, cannabis public relations is a thriving new industry. Weed is now like alcohol, Nordstrom fashion shows, and new diet supplements, in the sense that PR reps now fill up this editorial team’s Gmail accounts with story pitches and press releases on the subject daily. A 2018 educational panel organized by the Science & Policy Exchange about what to expect in the then-upcoming cannabis legalization, saw its ads taken down due to their alleged promotion of drug use. According to reporting by Global News’ Patrick Cain, a representative from Facebook said publicly they should not have banned the ad. The ad was approved, and then flagged and taken down once again. Organizers would tell Global they moved on to other forms of advertising. Furthermore, some companies are being prevented from running ads, even if they aren’t directly involved in cannabis. Vellum Wellness is a BC-based business that sells essential oils, skin creams and other wellness products and accessories. Christina and Sarah Kaur, the business’ co-founders, were surprised to find that their account on Instagram has been flagged, and has been unable to promote their products through the platform ever since. The reason given was that Vellum’s account was promoting drug use, which is odd because Vellum doesn’t market or sell any cannabis products. Instagram does offer an appeals process, though this typically offers no way to actually connect with a human representative. The potential cause of the problem could be a handful of images they once shared to the account, paying homage to the human hand. “We were formulating our first product which was a hand lotion we wanted to just pay homage to hands and share all the different things that our hands do for us,” says Kaur. Some of these images contained cannabis. Grow reached out to Instagram for comment, but have received no response by time of publication. This post was updated to indicate that Inner Spirit Holdings is the parent company of Spiritleaf, not High Park, as previously indicated. Peter is the Online Editor at Daily Hive Toronto. He's deeply interested in fringe political movements, issues around cannabis reform and your latest news tip ([email protected]).